SPOILER ALERT: Do NOT read this if you are devout Christian, as it takes getting used to (even for moderates). Read it if you are interested in Ancient Egypt. Three years ago I watched a BBC documentary on the first centuries of Christianity. Among other things, it looked specifically at a subset of pagan religions that were very popular 2000 years ago and how Christianity absorbed them. There were several scholars discussing passages in the New Testament and how some events in the account of Jesus' life were taken directly from these pagan 'mystery' religions. I put off writing about this because it was seriously depressing. One of these events was Jesus riding into Jerusalem on a donkey on Palm Sunday. Another was the actual date of December 25th, when a pagan god known as Mithras was said to have been born. Historians place the likely birth of baby Jesus in the spring, as there is evidence of the census that was ordered at the time that Jesus was born. Another similarity is the visual of Jesus on the cross. The picture to the left is from a pagan relic of Osiris-Dionysus, of Egyptian or Greek origin. The cross is recognized all over the world, but the Gospels sometimes say Jesus was hung from a tree. This BBC documentary drew many parallels between Christianity and various pagan myths, especially the mystery religions in Ancient Egypt and Palestine. 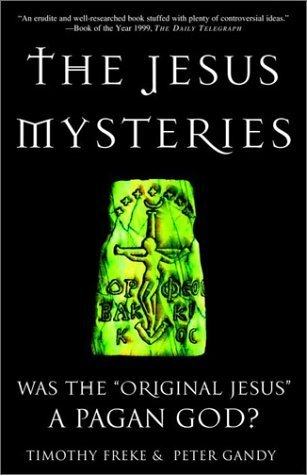 One of the speakers was a man called Timothy Freke, co-author of the most jarring and controversial book I have read: The Jesus Mysteries: Was the Original Jesus a Pagan God? In the book, Timothy Freke and Peter Gandy go through almost every scene in the New Testament, telling us what pagan religion it was taken from. There were 5 or 6 pagan myths with somewhat similar storylines, all part of a broader spiritual movement. 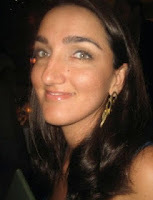 The book is detailed, it is obvious that a huge amount of work went into writing it. But even for me, a lapsed Catholic, it was the most depressing book I had ever read. If it were true, it would make me doubt everything. There was a bright side to the book or I wouldn't review it. The authors suggest that mystery religions were about establishing a direct connection with God through mystical means, using the story as a spiritual guide. The story itself was not to be taken literally, but even with mystery religions, the public often did. Timothy Freke and Peter Gandy advocate viewing the Gospels symbolically and gleaning messages that help us grow spiritually and emotionally - much like Eckart Tolle's interpretations in A New Earth: Awakening To Your Life's Purpose. Dr King's paper takes a much friendlier approach with Christianity. He mentions most of the parallels from Freke's book - thereby verifying the facts - without discrediting Christianity or making us feel like Santa Claus doesn't exist (multiplied by a 1000). In retrospect, there was nothing inherently depressing about the comparisons laid out in Timothy Freke's book. It was the thought of having it wrong all my life, or only having half of the picture. The Jesus Mysteries advocates Gnosticism which involves viewing the Bible as symbolic and using it as a path to develop a personal connection with God - finding our Inner Christ. 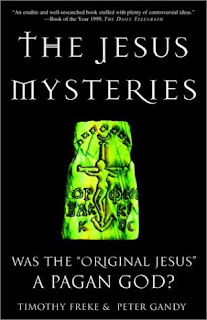 The Church chose the literal interpretation where Jesus dies and comes back to life, but if you major in History at a Jesuit university, you will learn about the ancient mystery religions and the massive crossover they had with Christianity. I asked a friend who studied at one in Mexico and she knew all about it. 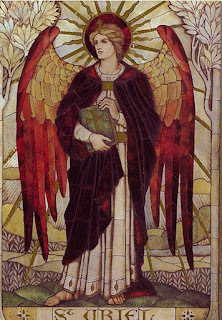 On a personal note, the meditations that we use to connect with the archangels can be used to connect with Mary or Jesus. When we activate our Aura and Chakras, the first beings we sense are angels, then guides, and then the big guns, like Mary and Jesus. On a spiritual level, I am certain they exist and think there is more to Christianity than we know. At first, I was disappointed because it felt like I had been lied to but I don't think that is what happened. If the Gospels and the Bible can be viewed as a spiritual map, maybe we have been reading it upside-down for a while. It's really a cool and useful piece of info. I'm glad that you simply shared this helpful information with us.